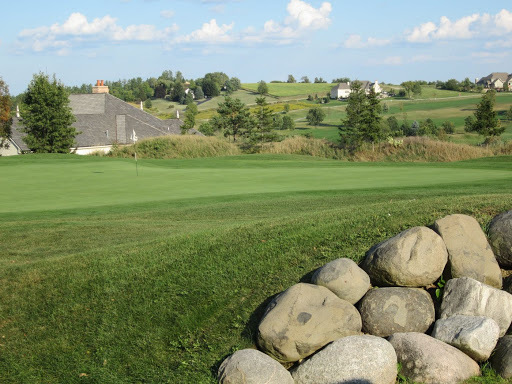 Located just outside of Hartland, Ironwood features three separate nine-hole layouts. Each of the three is tremendously different, and challenging in their own ways. Birr is a links-style course, while the Callow is very woodlands-based and the Meath is dominated by hilly terrain. The Birr course, added in 2003, starts with a mid-length par four with highly elevated tee boxes. 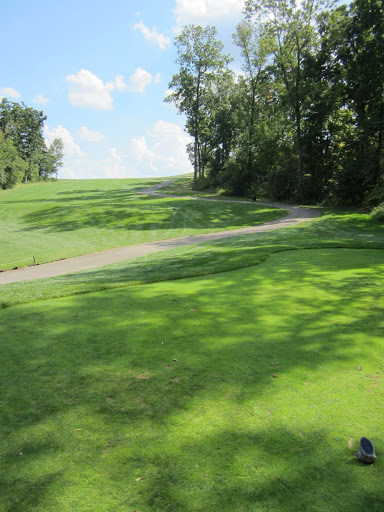 At 389 yards from the blue tees, a good tee shot will result in a wedge to the green. The green is very difficult, and anything hit long will be lost in the woods, while anything short is liable to land in one of the deep green-side bunkers that lie short and left on the approach. 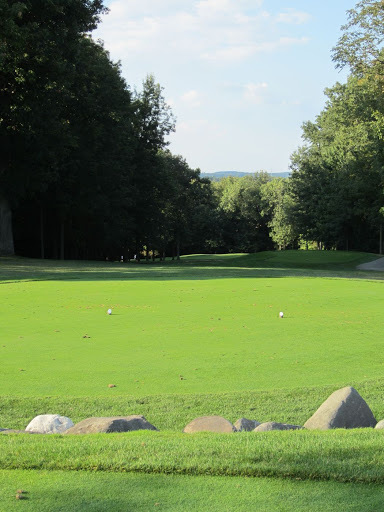 Ironwood features a number of blind tee shots, which begins with the Birr’s second hole. 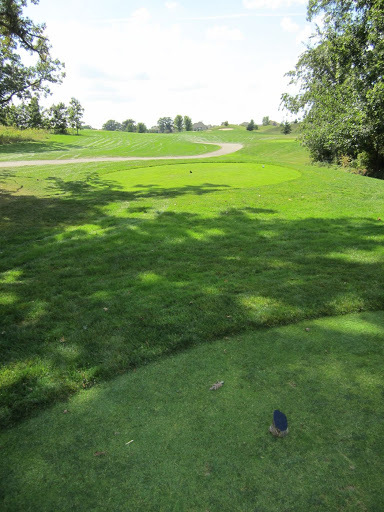 The second hole is short at 311 yards, but with a sharp bend to the left the green is drivable as the crow flies. Aiming over the center sand trap on the left side of the fairway with a long iron or fairway wood can leave you with 20-40 yards to the green, which is the smart play here. Why not drive the green? 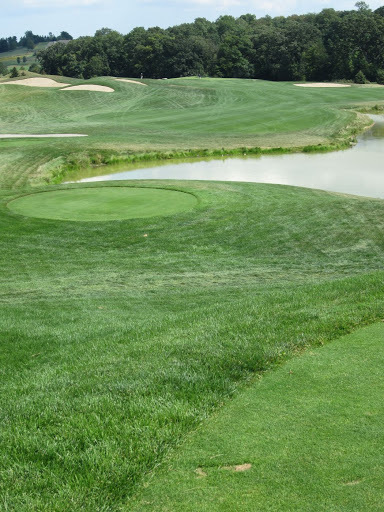 There is a large pond on the backside of this green, and the slope goes directly toward it. The third hole is an absolute beast. At 489 yards, the important thing to remember here is that the entire fairway slants toward the water that runs alongside the fairway. 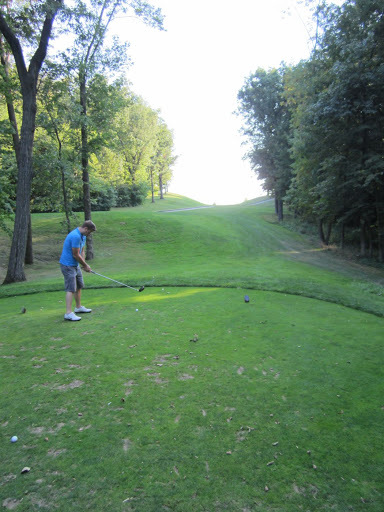 Aim at the hillside to the left of the fairway, and let the hill run your drive back down in to the fairway. Now the fun begins with a dogleg right and a green that is surrounded on three sides by water. The cart path that runs along the left side of the green makes for an evil approach that will bounce high and usually in to the water. The green is small and quick, and laying up here to leave yourself a short wedge is not only justifiable, but the smart way to play it. Hole four is one of my favorite par threes on the course. The green runs uphill from the tee boxes, and a pitching wedge or lower will typically hit the green and come backwards considerably. Two-putts here are commendable, especially if you hit the backside of the green. The sixth is a fun par five with another blind tee shot. Going straight uphill from the tee boxes, the fairway bends left and straight downhill, which makes you feel like you’re in absolute beast-mode if you really get a hold of the drive. 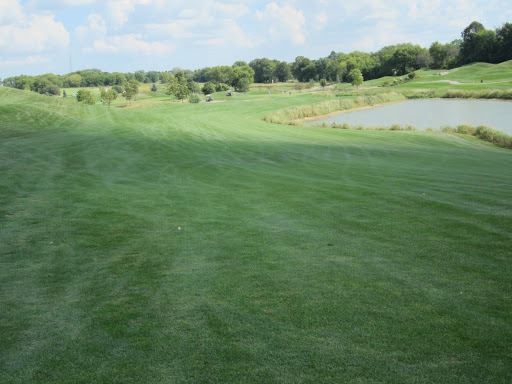 Keep your second shot to the left side of the fairway to avoid the water on the right, and aim at the left side of the green as any shot that hits the green will roll to the right considerably. Seven is the longest par four on the course. As with all holes on the Birr course, water is on the right side of the hole and will penalize the slice severely. Almost any approach on this hole will be at least a five-iron, if not more. The green is incredibly long – probably 60 yards from the front to the back. Hole eight is an excellent, but difficult par three. The sand trap to the right of the green is absolutely huge, and located well below the green. All shots hit here will leave for a brutal out. The ninth is one of my favorite holes on the course. 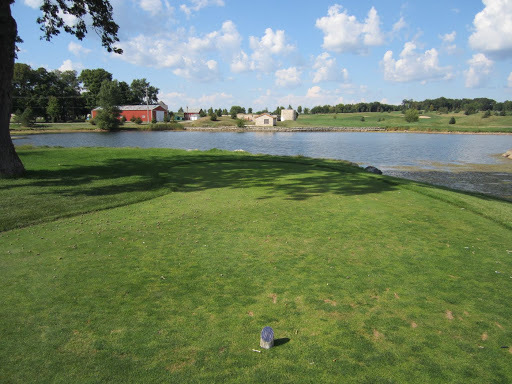 Teeing off over a huge pond, the fairway doglegs severely left beyond an old stone barn and silo. Aiming over these structures gives you a short approach, but requires well over 200 yards to hit the fairway. Aiming for the fairway in front of you leaves a longer approach which will bring the pond on the right, and the wicked sand traps short and left much more in to play. This is an outstanding finishing hole. The Callow course is slightly less memorable than the Birr, but has some very nice holes in its own right. The first and second are short par fours that are birdie-able. 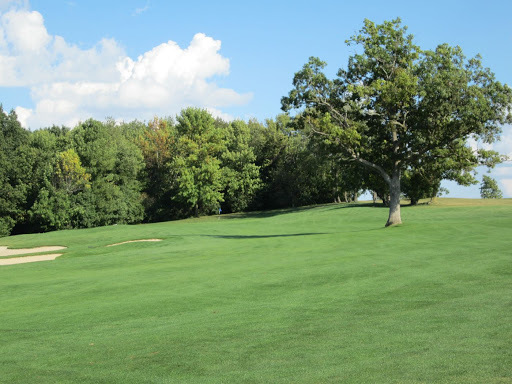 The third is a long, long par five that tees up from high above a tree line that guards the fairway on the other side of a pond area. Aim over the right side of the trees to cut out some distance, but make sure you’re long enough to carry the pond and sand traps, as well. The fourth is a 200-plus yard uphill par three. There is little room for error on the left side, so definitely favor the right if anywhere. Five is a very cool hole. 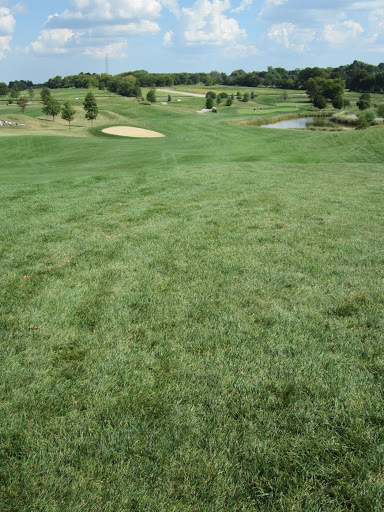 From way above the fairway, the hole distance can be cut considerably by aiming over the rough. This is always tempting, but aiming for the fairway with a wood or long iron is a much smarter play. The green is narrow and runs quickly from the back-left to the front. Holes seven and eight are two of my least favorite holes. Seven is nasty. The tee shot over water enters the forest with about 30 yards of fairway to aim for. It meanders further uphill between the trees and then pretty drastically to the right. Your second shot will almost always be something mid-length just to set up your third, and the third will always be long to the green which shows up mercifully at the top of the hill. Seven is incredibly difficult, but eight is really tough in its own right. 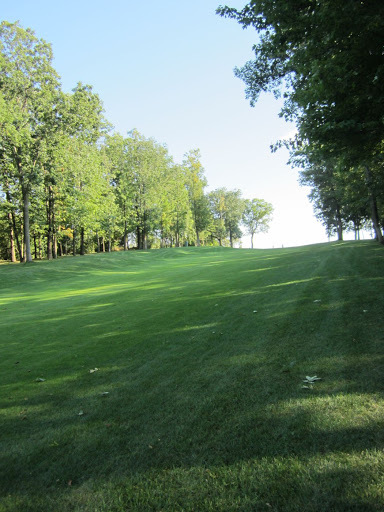 With about 200 yards to work with, the eighth hole goes back down through the woods again, to a clearing that is slight and necessary to reach if you will have any shot at hitting the green in two. Doglegging left, the green is located at the bottom of the woods. Nine is another interesting par four, especially for the tee shot. Running straight uphill, the tee shot is again blind but the fairway is not difficult to hit. If you can play a cut (slice, for me), cut the heck out of it. Try to keep it over the large tree at the end of the tee shot approach, and it should cut over the ladies’ tee boxes and then downhill back to the fairway. The green is heavily guarded by sand traps, but is nowhere near as difficult as most greens on this course. The Meath is considered to be the “Middle” nine. It is also my favorite of the three courses here at Ironwood. From the first hole on, it is obvious how important accuracy is here. The fairways are fantastically manicured, but the rough is kept ridiculously long and will entangle your club and force a lot of laid-up shots. It is important on the first hole to not go long on your approach. 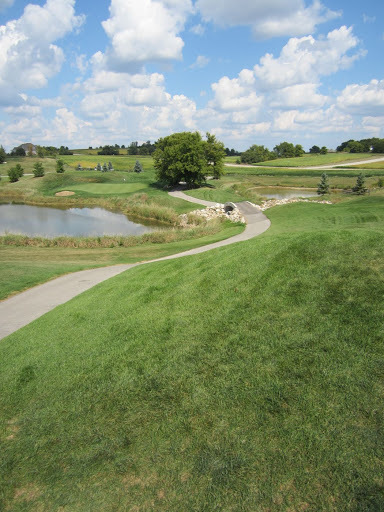 Not particularly long, all three of the courses are between 3,114 and 3,408 yards for the white and blue tees, respectively, but the required precision at this course makes them play much longer. 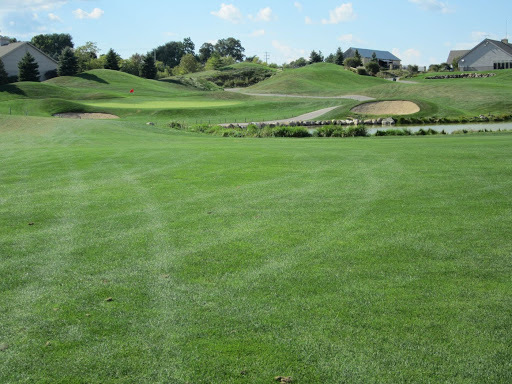 The Birr is the longest of the three, at 3,408 yards from the tips. Short par threes on each of the layouts shorten the length considerably, and each has its share of short par fours that make for fantastic birdie opportunities. One of these short par fours is one of my all-time favorite golf holes: Hole three on the Meath course. Three is 278 yards from the tips, and 273 from the blue tees. It is a choose your own adventure hole in that the green is reachable from the tee boxes, but is located on a peninsula that is surrounded by water. A split fairway allows you to play to either the left or right side of the green. The right side forces a shot over the pond to a severely sloped green, while the left side allows for a much more direct approach that goes straight downhill from the front of the green. 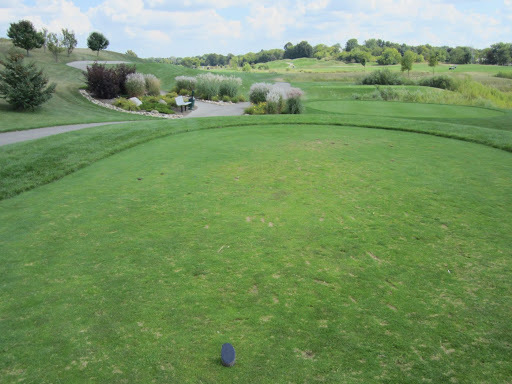 Even hitting the green on your drive does not mean your ball will stay on the green. It is an absolutely beautiful hole, and one of the most fun holes I have ever played. Exceptionally hilly, Ironwood is a great course to walk if you want a significant leg workout. The Meath course has probably the most uphill holes of the three, but also has several that mercifully run downhill. One of the most interesting of these downhill holes to me is the par five sixth. Running between huge trees, the fairway looks almost impossible to hit. The secret to my success on this hole has always been driving to the right of the trees. 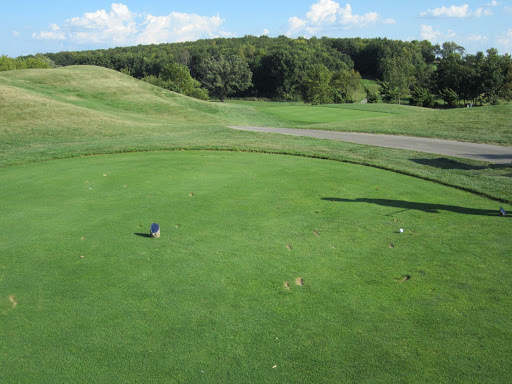 It can take a little while to find your ball, but at least you will leave yourself a visible second shot! The approach is downhill, and ends in front of a pond. Run your approach on to the green to ensure safety here. 300 yards. The end of the tree line on the left side can be flown to take off a lot of the distance on this hole, but can flirt with the river that cuts the fairways in half. A great tee shot on this hole will give you a chance at hitting the green in two, but it will be one heck of a long second shot! The pin locations on this hole, too, can be absolutely brutal. The greens at Ironwood are not only drastically sloped, but are also quick – comparable to Wild Rock or Blackwolf Run, in fact. There are particular areas of this course that I would consider to be border-line unfair. Nowhere is this more evident than on the seventh hole of the Meath course: A short par three that goes uphill to a narrow green with deep bunkers in front and behind. 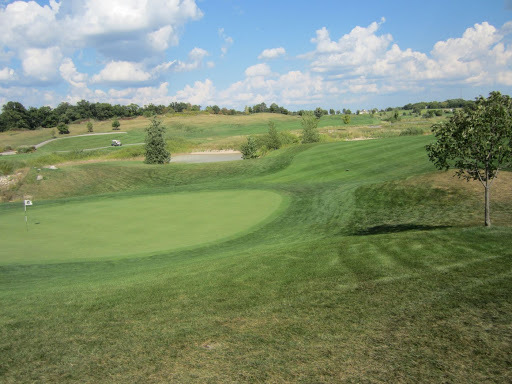 The green is cut in half by a steep hill that climbs about five feet from the left to the right, with a pin location that tends to be on the bottom of the slope. In a league outing there last month, I was the only one in our group to two-putt the hole. One guy four-putted, while the others five- and six-putted it. I heard there was another league player who took seven putts to finally hole it. This is the most extreme case that I can think of, but there are a number of other greens that are similar in a less drastic sense. 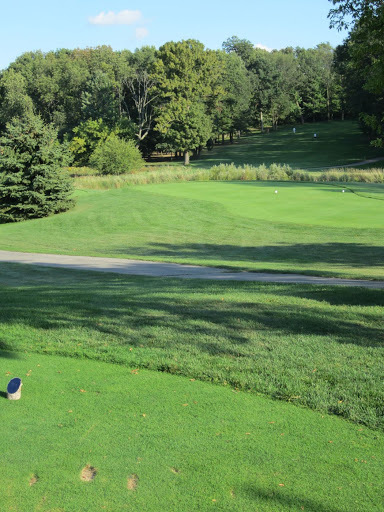 Despite these perceived “unfairnesses,” Ironwood is an excellent golf course. 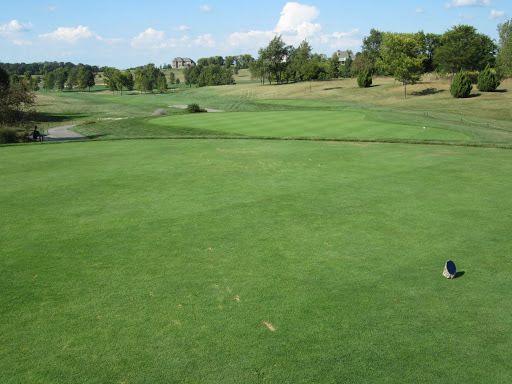 I have several other gripes with it, though, including many hard [and rarely raked] sand traps, constant outings that slow play considerably, and a hefty $60 greens fee (with cart) with few-to-no opportunities for less expensive play. 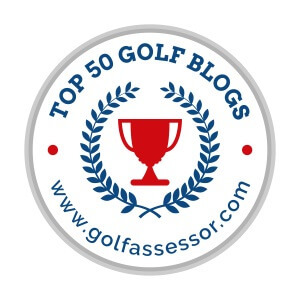 They fill the tee sheets, though, which means to me that there is no reason for the course to be on such sites as GolfNow.com.